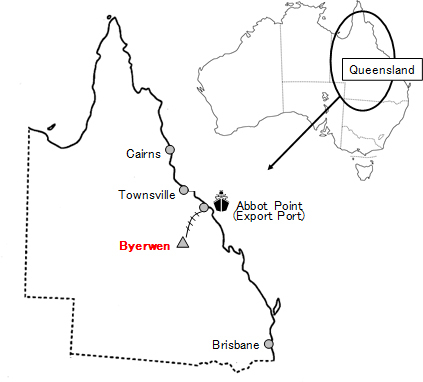 TOKYO – JFE Steel Corporation announced today that Byerwen Coal Pty Ltd, a joint venture company in Queensland, Australia between JFE Steel and QCoal Pty Ltd, has shipped its first cargo of hard coking coal produced from the Byerwen Coal Handling and Preparation Plant (CHPP), bound for its West Japan Works. 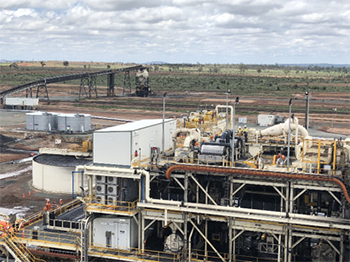 The development of the Byerwen mine, which is located in the north-east of Queensland, has progressed since the Queensland State Government granted mining leases in April 2017 and the production of hard coking coal from the CHPP started at the end of 2018. The Byerwen mine produces hard coking coal which is necessary for high quality metallurgical cokes. The coal from the mine has a great market competitiveness due to the vast resources and favourable mining condition that allow for a large-scale open cut operation. 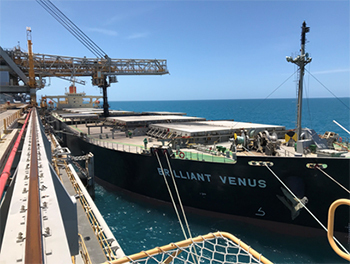 Together with QCoal, JFE Steel will work to develop the mine and provide a stable, long-term supply of coking coal, which is expected to help reduce volatility in the coking coal market. JFE Steel Corporation, one of the world's leading integrated steel producers, was established through the consolidation of NKK Corporation and Kawasaki Steel Corporation in 2003. The company operates several steelworks in Japan and numerous branch offices and affiliates throughout the world. JFE Steel leverages world-class technologies and know-how to produce a wide range of products based on its Only One, Number One strategy of focusing on unique and best-in-class products. The company reported consolidated sales of 2,349 billion yen and consolidated crude steel output of 30.41 million tons in the fiscal year ended March 2017. For more information, please visit www.jfe-steel.co.jp/en. Copyright © 2003 - JFE Steel Corporation. All Rights Reserved.